This is the story of a girl named Jazz who leaves in the Lunar town of Artemis on the moon. She has lived there since she was 6 years old with her father. She is brilliant but a slacker. She lives in near poverty because she refuses to get a steady job. Right now she moves contraband and does odd jobs for money. She has become friends with a Billionare who wants her to sabotage a Lunar business so that he can take over. It is risky and dangerous, but she wants the money, so she agrees to do it. The heist starts her down a path that uncovers a conspiracy that has been in the works on Artemis. It puts her life, and the lives of people she loves, in danger. She gets in way over her head, but with the help of her friends she helps to bring down a cartel that could have ruined her existence on the moon forever. This was a good book. 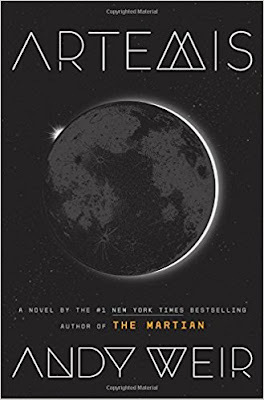 Andy Weir, no doubt, is a great writer. 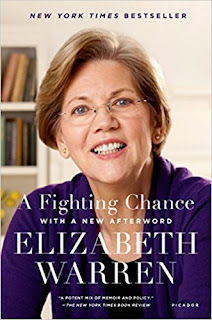 The book is smart, and funny. It isn't a hard read, and it kept me entertained until the end. I didn't want to put it down. If you read the Martian, read this book. 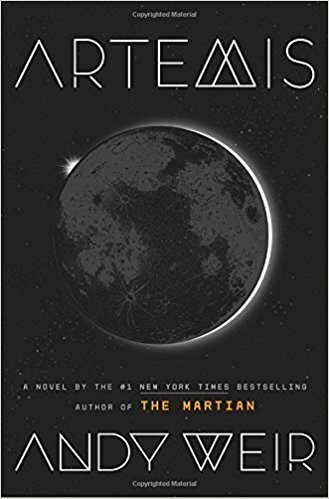 If you didn't read the Martian, read that AND this book. Another book off list - I am a maniac! No category except it was on my list to read last year and I didn't get to it. 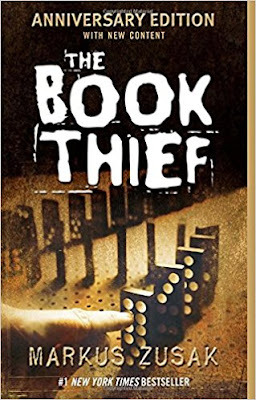 This is the story of Liesel Meminger who is living in Munich Germany in 1939. Her mother took she and her brother on a train to a foster family to keep them safe during the war. Her brother got sick and died on the journey, so Liesel is all alone when she shows up. Her foster father is kind and generous, and her foster mother is hard and stubborn. Each night, Liesel wakes with nightmares and her dad comes in to comfort her. Eventually she shows him a book that she stole when they buried her brother called "The Grave Diggers Handbook". This starts Liesels love of books and her father starts to teach her to read. 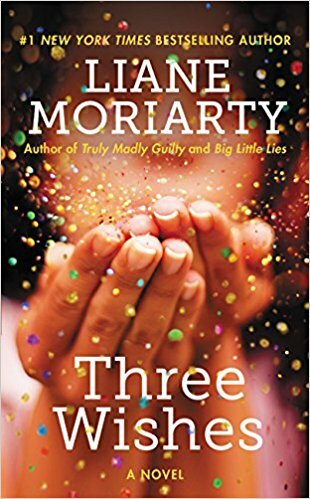 Over the course of her years with her foster family she steals several more books, is invited to the Mayors house to read whenever she wants, watches bombs fall on her city, and helps her parents hide a Jew. In a time when all books were being burned by Hitler and the Nazis, Leisel was trying her best to save them. I loved this book. LOVED it. Probably one of the best reads I have read this year. It was well written, and had a great message. I have read a lot of WWII books, and this was among the best. Okay -time for me to go rogue. I am going off script for the rest of the year because 1) I do not have easy access to many of the books I had on my list now that I am in Switzerland and don't really want to buy them and 2) because I want to. The books that are left on my challenge are not possible at this point in the year. And frankly - I don't know how much I REALLY wanted to read them - they were just fitting snuggly into some of the categories I chose. But this move has taught me one thing - I cannot get many English speaking books in a German speaking country, so I am going to have to improvise. No category. Unless you call it :my son had this book on his shelf and it looked interesting. This is a collection of short stories true to Norse pantheon. The stories center around Thor, Loki, and Odin. 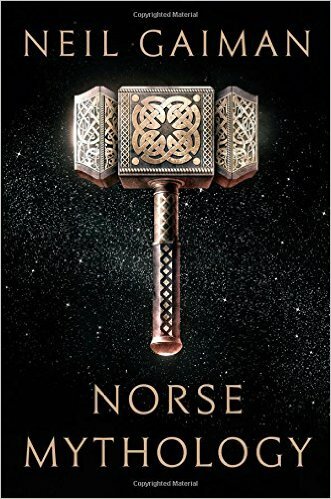 The stories are about forming the world, creation of Yggdrasil, how Odin lost an eye, the god's treasures, Loki's children, Thor and the giants, Balder's death, Ragnarok, The author puts his own twists on the old myths, but stays true to the stories. 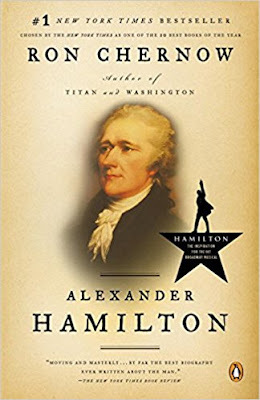 This was a pretty good book. It is a good book for the 11-17 age range, and if your child is a fan of Thor, then it is definitely a good choice. Thor is definitely the comic relief of these stories. They are silly, over the top, and enjoyable. I say try it out! This is the story of a set of triplets named Cat, Lynn and Gemma. The 33 year old women all live close to each other, but their lives could not be more different. Gemma - who has never been in a relationship longer than 6 months - thinks she might have found "the one". Lynn - who has a young daughter and a step daughter - is trying to balance a full career and being a mom and a good wife. And Cat - who desperately wants to have a baby - just found out her husband is sleeping with someone else and wants a divorce. They are the product of divorced parents who have never quite gotten along. Their mom was only 17 when she found out she was having triplets, and the marriage didn't last long after that. The girls grew up splitting their time between two parents whom they never felt close to, and always relied on each other for comfort. This was a sweet book. IT was an easy read, and fun. Liane Moriarty is a great author and I have enjoyed many of her books over the last couple of years. The characters were likeable and well developed. It does have a recurring theme from her other books (divorce, cheating spouses, infertility), but that didn't make it less enjoyable. If you are looking for a Chick-Lit book, this is a good one. Whoops! Missed blogging about another one. I am pretty sure I read this one near the beginning of the summer. 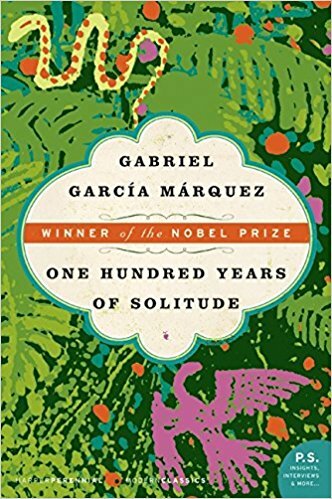 This is the story of a fictional town called Macondo. It is the history of a family named Buendia. All the characters have names that are similar. The founder of the town is Jose Arcadio Buendia. It covers the lives of his children and his grandchildren. Jose and his wife are first cousins, and they leave their village to search for a new home. The town stays pretty secluded, but is often visited by gypsies. Over time, Jose Buendia goes insane, starts speaking only Latin, and is tied to a chestnut tree for many years until he dies. Generations of Buendias eventually leave the town into a near abandoned state. There are only two people left in the town, and they enter into a relationship - not knowing that they are aunt and nephew. The wife dies in child birth and the child is devoured by ants (what?!?!) leaving Aurelino - the nephew - as the last living Buendia relative. Aurelino finds a manuscript that was left by the gypsies years before that tells of all the Buendia misfortunes. While reading it, the town of Macondo is wiped off the face of the earth by a hurricane. This book will make your head spin. While I enjoyed the book, I had to keep referring to the family tree at the beginning to keep all the names straight. There are a lot of Arcadios and Ursulas and Joses that you start to forget whom is married to whom. The book is written in a magical realism style and will have you chuckling and shaking your head all at once. It was WEIRD. And silly. And just fun. I think I will recommend it. It is an acquired taste - that is for sure. You just never knew where the story was going!